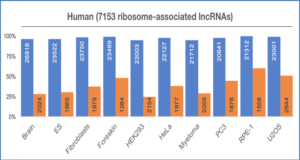 Long intergenic noncoding RNAs (lincRNAs) are important regulators of gene expression. 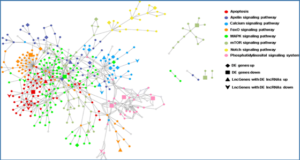 Although lincRNAs are expressed in immune cells, their functions in immunity are largely unexplored. 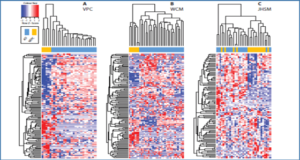 Here, researchers at the University of Massachusetts Medical School identify an immunoregulatory lincRNA, lincRNA-EPS, that is precisely regulated in macrophages to control the expression of immune response genes (IRGs). 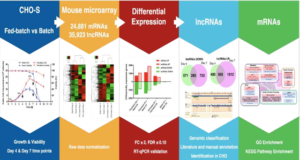 Transcriptome analysis of macrophages from lincRNA-EPS-deficient mice, combined with gain-of-function and rescue experiments, revealed a specific role for this lincRNA in restraining IRG expression. 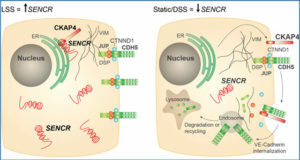 Consistently, lincRNA-EPS-deficient mice manifest enhanced inflammation and lethality following endotoxin challenge in vivo. lincRNA-EPS localizes at regulatory regions of IRGs to control nucleosome positioning and repress transcription. 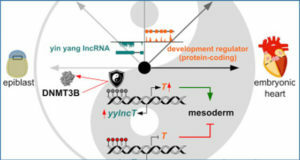 Further, lincRNA-EPS mediates these effects by interacting with heterogeneous nuclear ribonucleoprotein L via a CANACA motif located in its 3′ end. 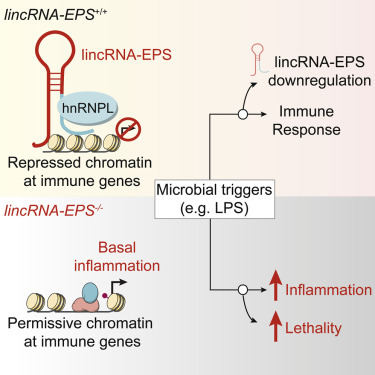 Together, these findings identify lincRNA-EPS as a repressor of inflammatory responses, highlighting the importance of lincRNAs in the immune system.